Serving as a physician assistant for Dr. Steven Howell, Tori Barnes is passionate in serving others. Tori feels working together through education and active listening is very important. She loves her career and feels as a physician assistant she is able to function as a bridge in medicine by increasing patient access to healthcare. Born and raised in Nebraska, Tori received her Bachelor of Science degree in Biology from the University of Nebraska at Omaha and her Master of Science in Physician Assistant Studies degree from Alderson Broaddus University in West Virginia. Tori spent five years in Southern Illinois working as a physician assistant in general orthopaedics and sports medicine before moving to Wichita to be closer to family and old friends. Tori is certified by the National Commission on Certification of Physician Assistants and licensed with the Kansas State Board of Healing Arts. 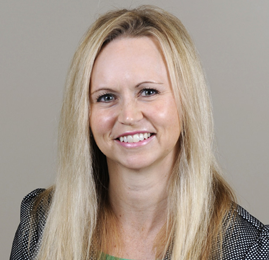 She is a member of the American Academy of Physician Assistants and the Kansas Academy of Physician Assistants. Tori's interests include exercising, cooking, watching sports, shopping and listening to music. Tori is happy to be back in a city with many social options.